Even "Boston George" Jung had to start somewhere, right? Well, at Cal Poly, the college version of Johnny Depp’s Blow is playing out and it’s pretty scandalous. Drug deals and gun stick-ups at such a posh engineering school? On Thursday, Gear McMillan — a former Delta Sigma Phi president who still lived in the frat house — was arrested on suspicion of being in possession of and selling non-medical marijuana and a controlled substance in the form of non-prescription medication (probably Xanax), according to Mustang News. But his arrest stems from a police investigation of a robbery at the Delta Sigma Phi house. 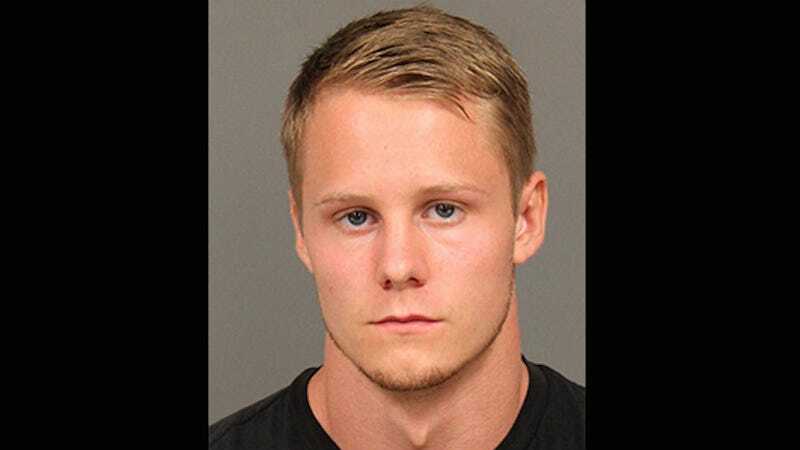 On August 10, there was an armed robbery attempt at the frat house for which five Cal Poly football players were arrested. San Luis Police said in a press release that “investigators were told that part of the motive for the robbery may have been to take cash and illegal drugs from the fraternity house.” Poking around, police eventually made the connection to Gear and searched the house this week, where they found evidence of Gear’s most-likely lucrative extracurricular activities. Obviously the current Delta Sigma Phi president and the coordinator of fraternity and sorority life have not commented on this kerfuffle, but Cal Poly’s spokesperson made the required strong anti-drug stance, according to local news station KYET. There is no place for illegal activity at Cal Poly. We will take all necessary action to ensure student safety, wellbeing and success in the classroom and beyond. All student conduct violations will be met with appropriate disciplinary action. And we remain committed to cooperating with the San Luis Obispo Police Department and providing whatever support we can as they continue their investigation. While the police continue their investigation into Cal Poly drug ring, McMillan is sitting in a county jail with bail set at $25,000. His parents are probably pissed.